I have fine blonde hair which was falling at the change of season. This does not work to condition my hair at all, and is a strange brown colour. My hair was dull and tangled after using it. Expensive and totally useless for my hair. I love this product! Smells really fantastic. Great for my hair. I will take again! It smells good and it works very well! !my hair improved their volume and they're full of new life ! I love this. It's expensive but well worth it. After having 3 kids in the space of 4 years my hair suffered. As soon as I touched my hair it would fall out in my hands. After using this first time not one single hair came out when I combed through. That's a miracle for me. Never used such an amazing product on my hair. 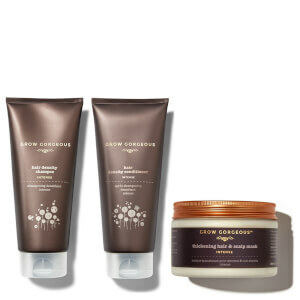 all natural and without silicone's or sulphates. 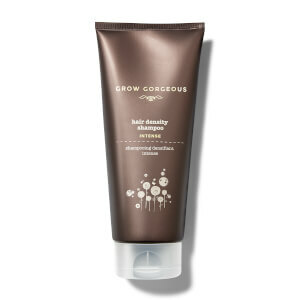 not just this product but ALL grow gorgeous products are amazing! do yourself a favour and just buy it!